Through shared purpose, values, beliefs and reinforcing norms, an organisational culture generates a set of behaviours which create specific results. Equally, development and sustained use of new behaviours will change a culture over time. A decision to change behaviour can happen in an instant. At any moment, a person can choose to do something different to get the results they desire. 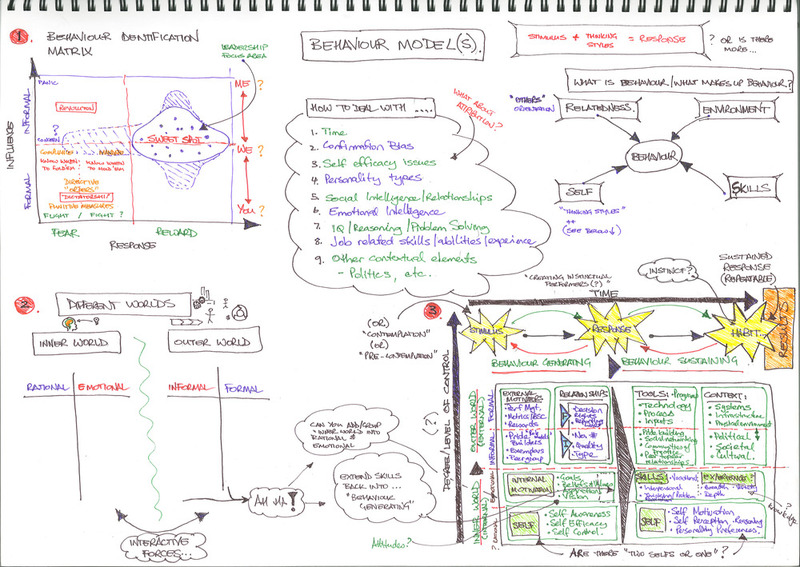 However, a person’s ability to initiate and repeatedly generate/sustain a new behaviour over time relies heavily on the rational and emotional influences that exist in an individual’s internal and external environments (see Model 1). 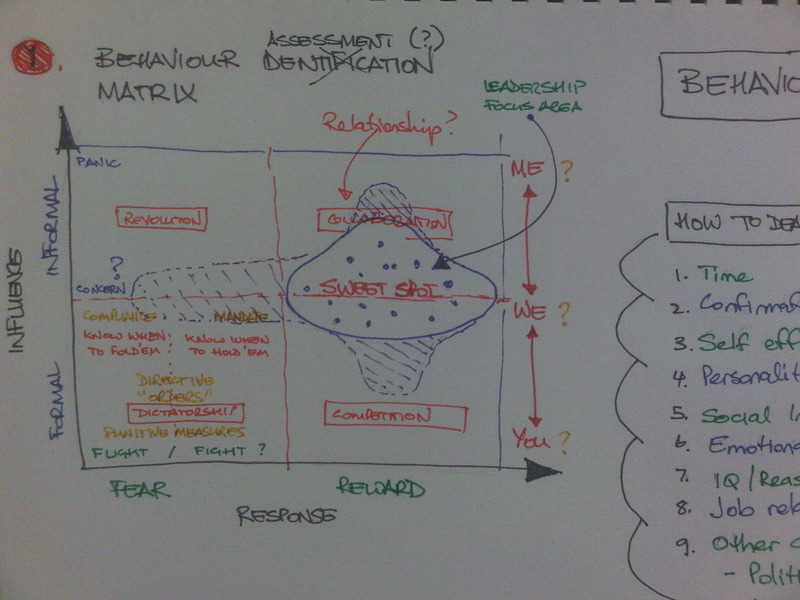 Most organisations tend to rely heavily on rational/formal drivers to mandate behaviour change (e.g. KPIs, performance management processes, bonus schemes, compliance programs). While some organisations also use emotional drivers to motivate people to change, leaders in these organisations tend to implement emotional initiatives formally (as opposed to informally), and as seemingly unrelated activities to those rational initiatives being used to drive change. Consequently, most of these emotional initiatives generate excitement but lack deliberate alignment to a specific business purpose/agenda. Cutting to the chase, using only one set of drivers, or using rational and emotional drivers that are unrelated, will not deliver sustained behavioural change. When organisations get this wrong, they reinforce the belief that changing behaviour is difficult. A further challenge in achieving successful behavioural change is that organisations attempt to change the entire culture (or sub-culture) of an organisation/organisational unit. Such an undertaking requires the successful adjustment/replacement of multiple behaviours. In addition, the framing of the change is usually high level and frequently intangible (e.g. “become more customer centric”). Without fully realising the implications of their decision and framing, organisations unwittingly embark on a multi-year transformation journey that, history confirms, most fail to complete. So, how can organisations achieve behavioural change and improved business results in a reasonably short time period? Organisations must use both rational and emotional drivers (in a coordinated way) to accelerate behavioural change and cultural impact. They must also leverage formal and informal organisational constructs to make change happen. Quoting Jon Katzenbach, we must: “use formal levers to align, and informal levers to motivate”. In addition, organisational leaders must be able to identify and select the critical few behaviours in key organisational populations that directly impact business outcomes. This step accelerates delivery of business impact/results, increases organisational confidence in the change, and generates momentum for broader cultural change (as a by-product of specific changes in business critical behaviours).